I hope your week is going well. I have been busy finishing the sitting room makeover and everyday living. I am so behind on cleaning, laundry, ironing (yuck), etc. Well, enough of that let's have a party, but first we must look at a few features. 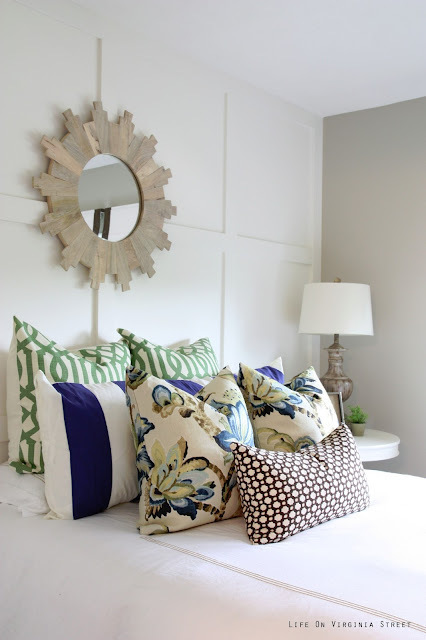 I love this guest room shared by Life on Virginia Street. She even has the same bench at the end of the bed that I have in the dining room. 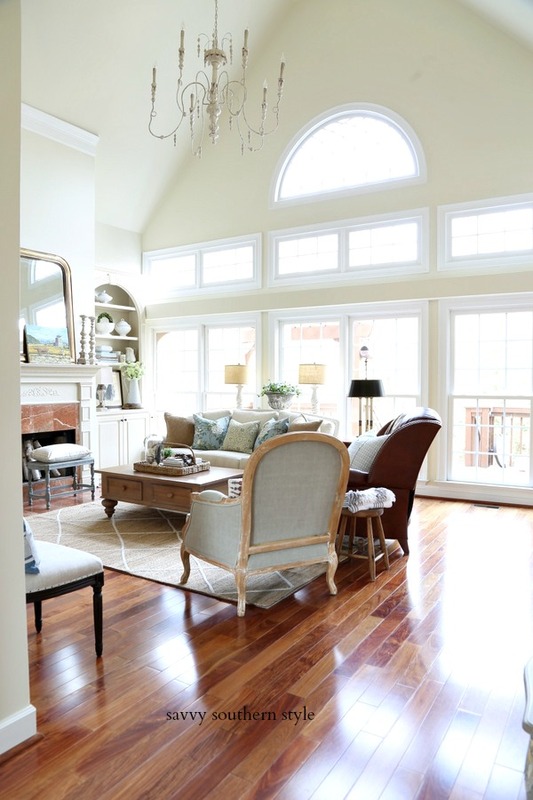 This is a pretty living room makeover by Domestic Charm. I love the dark color on the back of the bookcases. 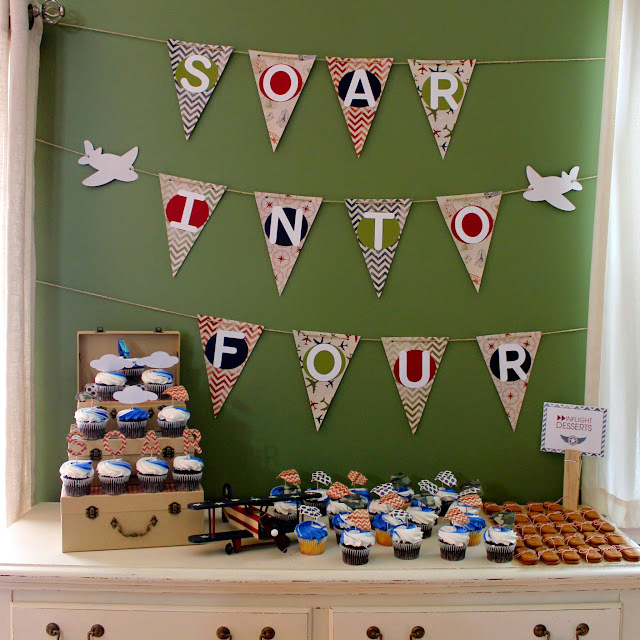 Do you need a cute idea for a birthday party? Well, look no further than Happily Mother After. Lucy's Lampshade shared how she made these cute patriotic napkin rings. She made the napkins, too. You can find out how to make these cute Country Living knockoff candles at Confessions of a Plate Addict. 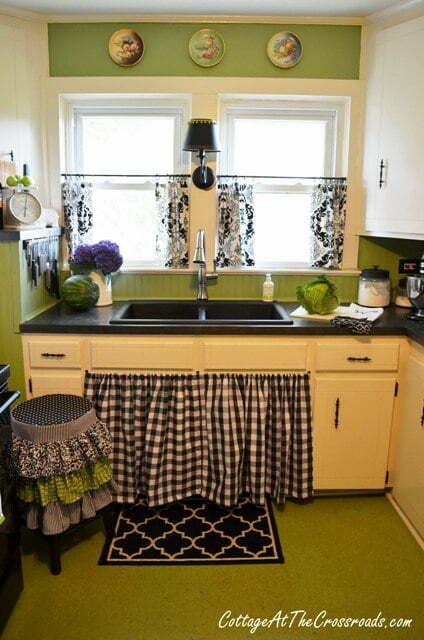 Isn't this a cute cottage kitchen? Check it out at Cottage at the Crossroads. It's Overflowing shares how to make this easy five ingredients cheesecake tart. It is summer and it is hot. Don't these watermelon pudding pops by Clean and Scentsible look refreshing? Thanks everyone for sharing and if you were featured please grab a featured button from the sidebar. Great features. Thanks for hosting Kim. Thanks for hosting, Kim! 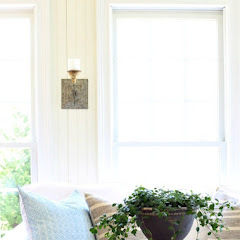 And congratulations on having the number one house tour on Houzz!!! So exciting! Your house has so much warmth and charm! 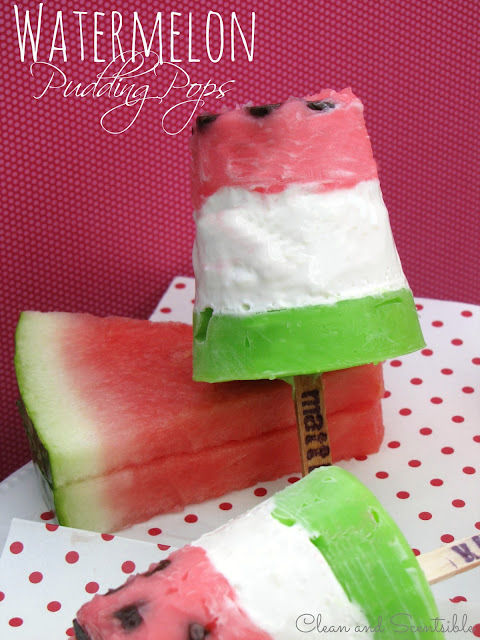 So many great links from last week...I missed those watermelon pops..need to check out how to make those cuties! !...Thanks for hosting Kim!! !..Hope you got caught up on your "activities of daily living"....!!! Thanks for hosting! I love WOW. Thanks for hosting, Kim! Hope you have a lovely week! 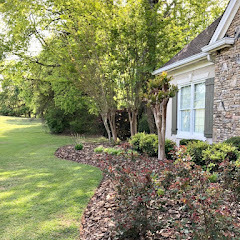 Wonderful features Kim~ Love Cottage at the Crossroads' kitchen! Thanks for hosting! Thanks so much for hosting, Kim. The features are great! Kim..those are some great features..can't wait to see what everybody is doing this week..thanks for hosting this party. Great features Kim and thanks for hosting! Hi Kim, what fun it is to come by and see so many sweet projects and ideas. Love those patriotic napkin rings. Fun features and a great party. Thanks, Kim! Thanks for hosting, Kim! I'm super behind on laundry, too. Such pretty rooms! Thanks for hosting, Kim. Kim, I'm so honored to be among your features! Thanks so much for hosting, and I can't wait to see the completed sitting room! Great features, Kim. Thank you for the fun party this week. Thank you for hosting the party Kim. Hope you are having a great week so far! The features are adorable, those candles with the bulbs, wow totally adorable! always a great party, thanks for hosting, Kim! Thanks for hosting Kim! Enjoy the rest of the week! love that guest room so much too Kim, thanks for hosting! Thank you for hosting Kim. Just added two links. Hope you can stop by :) Have a lovely rest of the week. I've already clicked on several of the entries, and they are awesome! Can't wait to get a tall cool glass of lemonade and click - click - click away! Wow, such fabulous features! Thanks for hostessing the party! Oooh, so excited to see the sitting room makeover!! Thanks for hosting, so fun to see all the great ideas! Thanks for hosting and I hope you are having a wonderful week! Glad you liked the patriotic napkin rings and thanks for the feature! It is always a special treat to participate in your blog....you have quiet a following! Thanks for hosting! I love the watermelon pop feature! Thank you for a great party Kim! I see you next week. Hope you are having a great week so far. 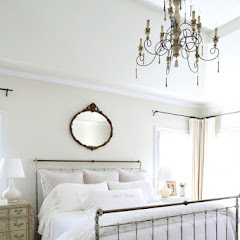 I love the guest bedroom too, I am already working out some mood boards for my own small guest room and probably taking some ideas from this room. I also love the dark colour on the back of the shelving unit. I have been meaning to do this in my living room, this image has made me decide I must go ahead and do it. Thank you for the party, I know what I will be doing tomorrow with a cup of coffee...reading through a lot of these fabulous links. Thanks so much for letting me join in your party. Thanks for hosting a great party, week after week! Love Wow! Thank you again for hosting! Such great pics from last week. Thanks for hosting the party. Have a great week! Those are some great features Kim. Thanks for hosting! 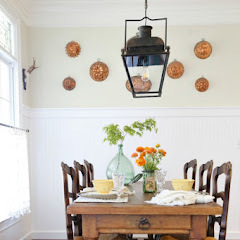 Thank you, Kim, for featuring my keeping room! I plopped down at my computer with my coffee and almost spilled it when I jumped out of my seat! I feel so honored to be among so many other talented folks! Wonderful features. thank you for hosting! 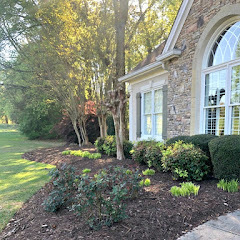 Congratulations on your Houzz deal. Thank you for hosting an always inspiring party. Great features Kim! I'm soooo hoping to get a piece of furniture finished up and linked to this week's party, but it might have to wait until next week. Your parties are great incentive to try to get things done. Have a great day! Great features, Kim. We have made Aimee's cheesecake tarts and they are yummy! Thanks so much for hosting! Thank you for hosting such a great party! I am looking forward to visiting the other site to see all the creative ideas! Wow, what a lot of linker uppers! Thanks for hosting! Thanks so much for the Party, KIm. Loved the birthday party idea for a little one. Thanks so much for hosting, Kim. Great features! Hi Kim, thanks for hosting a fun party! Thank you SO MUCH for featuring Brody's Airplane Party! I'm just now catching up on my blog reading and came across this post. I'm ecstatic! Thanks! !